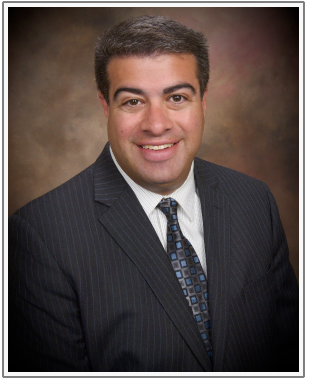 Seth W. Wiener is an experienced litigator and trial lawyer. He has handled and successfully resolved a myriad of federal and state litigations and alternative dispute resolution matters, including antitrust, bankruptcy, contract, construction, employment, family law, fraud, insurance, intellectual property, personal injury, product liability, real estate, tort, and unfair competition claims. Prior to forming the Law Offices of Seth W. Wiener, Mr. Wiener worked as a commercial litigator at several prominent Bay Area law firms, including, Wilson Sonsini Goodrich & Rosati, P.C. and LeBoeuf, Lamb, Greene & MacRae LLP. Representative matters that he handled at those firms include the following reported decisions: Boghos v. Certain Underwriters at Lloyd’s of London, 36 Cal. 4th 495, 30 Cal. Rptr. 3d 787, 115 P.3d 68 (Cal. Sup. Ct. 2005) (insurance companies entitled to compel arbitration of claims arising under a disability policy); State of Nevada v. Pioneer Companies, Inc., 245 F. Supp. 1120 (D. Nev. 2003) (granting motion to dismiss an interpleader action brought by the State of Nevada); Aquila, Inc. v. Superior Court, 148 Cal. App. 4th 556, 55 Cal. Rptr. 3d 803 (Cal. Ct. App. 2007) (granting motion to quash service for lack of personal jurisdiction). In the past five years, Mr. Wiener has successfully tried more than ten cases to verdict. Mr. Wiener received his Bachelor of Arts in Psychology with First Class Honors from McGill University in Montreal, Canada, in May 1996. While at McGill University, Mr. Wiener tutored learning disabled children and counseled outpatient schizophrenics. Mr. Wiener was awarded his Juris Doctorate by the Columbia University School of Law in New York City, in May 1999. Mr. Wiener was a Harlan Fiske Stone Scholar at Columbia University School of Law, and served as a Writing & Research Editor on the Columbia Journal of Law and Social Problems. Mr. Wiener was admitted to the California State Bar on December 6, 1999, and is admitted to practice before all California state and federal courts. Mr. Wiener resides in the San Francisco Bay Area with his wife, Dawn, and two children, Madeline and Benjamin. Mr. Wiener’s hobbies and activities include team sports, hiking, reading, videogames, and cinema. Call Me For A Consultation!